Some websites work well with Google Analytics. Some don’t. During the web design process, hundreds of decisions are made. Some of these decisions affect marketing far into the future. Some little web design decisions have a big impact on how you use Analytics. Can new tracking tools be added easily? 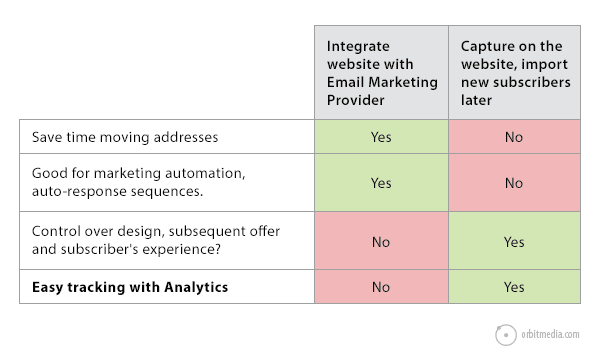 Here is a checklist of ways in which web design decisions can help or hurt your Analytics. Web Design Question: What happens after someone completes a form, becoming a lead? How does the website say thank you? 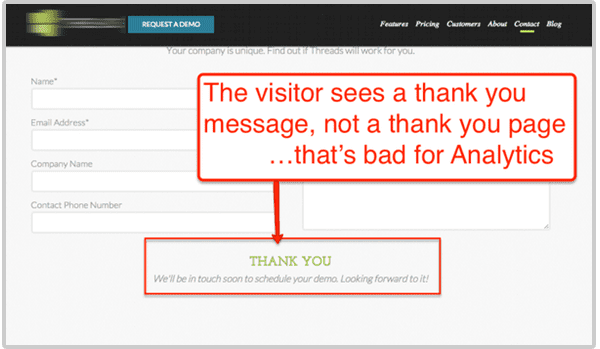 Some websites don’t take the visitor to a thank you page. Instead, they show a little thank you message on the same page. This makes tracking goals more difficult. A “destination goal” is a type of conversion in Analytics. It measures when a visitor reaches a goal URL; typically a thank you page. They’re easy to create, making conversion tracking simple. If your website doesn’t have thank you pages, you’ll need to use “event tracking” which requires a bit of programming. Not recommended. ProTip: Thank you pages are an opportunity to offer another message or action to your visitors. Don’t make it a dead end on your website. Keep visitors moving by offering content or another conversion. Web Design Question: What happens when a visitor subscribes to the newsletter? Do they stay on the site? Or do they land on a page on a different domain? 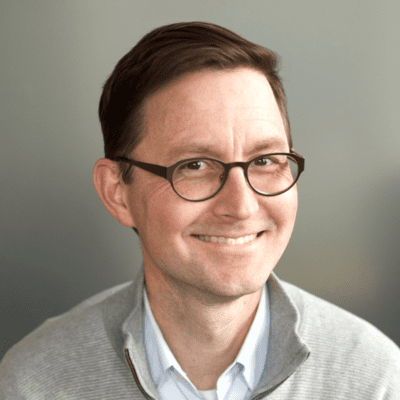 This decision also affects how easy it is to track conversions. It saves time to connect your website to your email provider, so every new subscriber goes right into your list. But it can cause problems. First, you can’t use a destination goal. The visitor left the site, so there isn’t a goal URL. Tracking the conversion is trickier. According to Analytics, they left, so it looks like a failure, not a success. This web design consideration goes beyond Analytics, into messaging and marketing. You don’t have total control of the thank you pages on your email service providers website. Email subscriber thank you pages are opportunities to offer more and get more in return. But if you send them away, all bets are off. These questions can guide your decisions of how (and if) to integrate. How often do you send email? How much work would it take to import that list of subscribers into your email system before sending each email? How much control do you want over your visitors experience and your Analytics? Web Design Question: Where is the blog located? Is it in a directory, on a subdomain or a separate website? 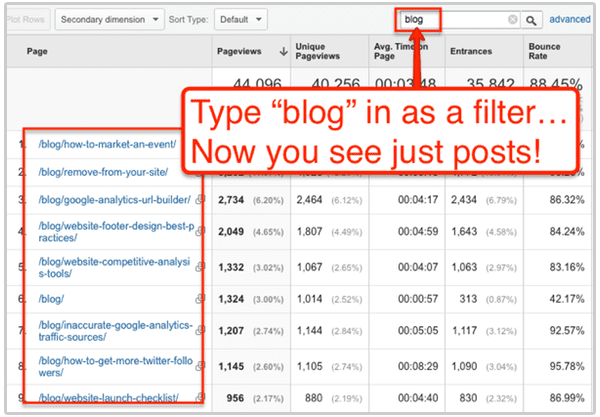 The URL of the blog content can make it easy to track performance of posts …or very very difficult. This is a web design decision with both measurement and search optimization impacts. Web Design Question: How is the site search tool built? What appears in URL on the search results page? When a visitor uses the search tool on your website, they arrive at a search results page. If the phrase they searched for appears in the address bar on this page, then you’ll have access to a very valuable report in Analytics. The Site Search > Search Terms Report shows every phrase that visitors entered into your search box, but only if Analytics can grab the phrase out of the URL. The query parameter appears just after a question mark or ampersand. It’s followed by an equal sign and then the search term. It might be “search_term” or “s.” The query parameter for Google is “q” which appears in the address bar for every search you’ve ever done there! When setting up Google Analytics, you specify your query parameter, which turns on the Search Terms report. This report contains valuable insights! But if your search tool is built in a way that doesn’t push the search term into the URL, you’re out of luck. No insights for you. Web Design Question: When to use lightboxes, long pages and sections. Is there a page for each topic? Or does the site combine many things into single pages? Designers want to make things easy and pretty. Sometimes this means tucking things away into tabs, using rollovers or having things appear as pop-up “lightboxes.” Other times, it means combining many things into one page. Example One: A website has a services page, with a listing of five company services. Each has an icon, a beautifully-written paragraph and a testimonial. 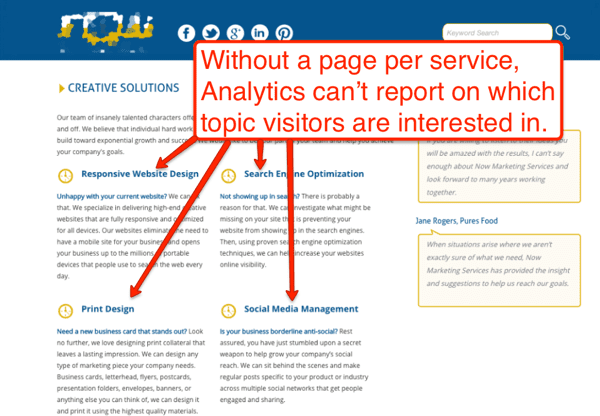 Problem: Since the services all appear on the same page, Analytics can’t tell you which one the visitor was interested in when they clicked. Fix: Make a separate page for each service. Now the Site Content > All Pages report will show you which of these services is the most popular among visitors. Example Two: A website has a team page, which shows the smiling face of all ten employees. Clicking a person’s face brings up a popup window with the bio and contact information. Problem: Since the popup windows aren’t web pages with URLs, Analytics doesn’t know which got clicked how often. Also, they won’t rank in Google when people search for a person’s name. Fix: Make a separate page for each team member, so the Site Content > All Pages report shows the interest for each person, and each profile page can be indexed and ranked in Google. 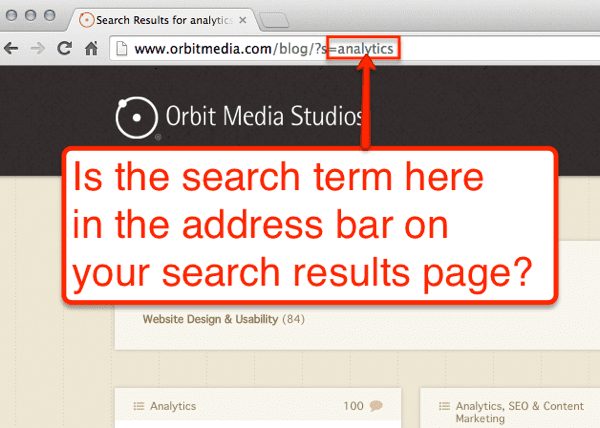 If it doesn’t have a URL, it doesn’t show up separately in Analytics and it won’t be indexed in Google. Make sure every topic (service, product, person) has its own page. Can’t Web Designers and Analytics Get Along? Don’t make it any harder than it has to be. Work with designers and developers who understand how to use Analytics and make good decisions for marketing. That’s the point of the project after all! If you’re going through a redesign and aren’t sure if your designers are building a site that makes future measurement easy, we recommend that you share this article with them ASAP! Andy, where’s the tip jar? I want to express sincere thanks for sharing your in-depth knowledge (in an easily digestible format!) with an aging boomer who dropped out of college. If it makes you feel any better, none of us here learned any of this in school. Anyone in Gen X or before is self-taught …or they learn from guys like you. How many teaching offers have you turned down, Dave? Andy, thanks for another great read! Our team has been reading your articles for a while and always find them extremely informative and useful! Greetings and happy holidays from a fellow Chicago firm! Thanks, Andrew. Comments like this mean the world to us. This post is a pretty niche topic, but it connects with so many other things we’ve written. I’m glad you liked it! Great post Andy, I am in total agreement about the last point of separate pages for different services or members and so on… ANd, happy new year to you and everone at Orbit Media! This is a great article Andy! It has a lot of wonderful information that could be applied to the websites created for our future clients. This was a great read Andy, thanks a lot. I particularly liked the elaboration on why it’s bad. Andy, thanks for the easy to follow checklist you’ve provided. Quite a few things that I didn’t know would deter our analytics. Thank you!